What Exactly is a SEMA Approved Racking Inspector? What Exactly is a SEMA Approved Racking Inspector? Home / Articles / What Exactly is a SEMA Approved Racking Inspector and Why Do You Need One? Are you being told you should have your warehouse looked over by a SEMA approved racking inspector? This blog explains everything from who they are to why you need one. Warehouses involved in the supply and demand business are often stacked to the rafters with racking, pallets and other storage equipment. Constructed using anything from wood to steel and holding products that range from bottled water to flammable goods, racking is a workhorse of the warehouse industry that should never be ignored. Like all workhorses, the only way to keep operations running smoothly is through proper upkeep. Your racking systems may seem perfectly adequate and secure, but there are numerous issues that may be affecting them — issues that could result in an unsafe or unstable warehouse environment. Problems with racking can endanger both workers and stock, which means appropriate maintenance is key. Racking inspections allow for the identification of potential problems and hazards including damage, material failure and incorrectly fitted elements. 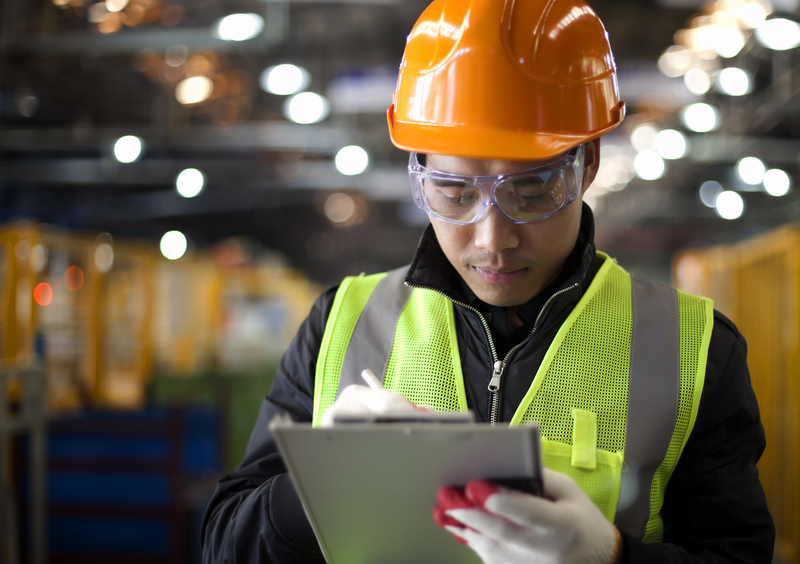 With the information gained from these inspections, warehouse managers can then take steps to secure their goods, meet health and safety policy and ensure they are following laws relating to duty of care. SEMA are an authority on racking inspections safety training. They are recognised across Europe as educators of the highest-quality racking inspectors — such as us here at Storage Equipment Experts. The Health and Safety Executive (HSE), the UK governing body responsible for the encouragement, monitoring and enforcement of health and safety practices, advises that warehouses are inspected by a SEMA approved racking inspector at least every 12 months. A SEMA approved racking inspector is an individual who has undertaken extensive training under an approved SEMA program. This program allows the person to offer racking inspection services that are up to a level deemed satisfactory by HSE. There are numerous types of racking inspection available. However, if you were to consider them all as different levels of British educational institutions, SEMA would be the top university. Such training qualifies the SEMA approved racking inspector as a recognisable authority in warehouse equipment inspections. As a result, those who operate warehouses that contain storage equipment should consider hiring the services of a SEMA approved racking inspector over others offering similar services. At Storage Equipment Experts, we offer SEMA approved racking inspections across the UK and Ireland. But do you really need a SEMA approved racking inspector? Can’t you just check the racking yourself or have somebody else do it? Why Do I Need a SEMA Approved Racking Inspector? When it comes to workplace safety, satisfactory — or even second-best — is not good enough. Racking may seem mundane, but as with everything, there are inherent dangers that come hand-in-hand with its use. The problems faced can vary from issues as small as tripping over loose equipment to major collapses that threaten lives. Those who operate workplaces have a duty of care to their employees and when racking is in use, this extends to ensuring your equipment is maintained to an appropriate standard as to avoid potential hazards. SEMA approved racking inspections ensure your racking is checked to the highest possible standards, as dictated by HSE. This not only means a safe workplace for your employees, but it also adds a level of protection in the event of disaster. There are no laws governing exactly how you should have your racking inspected, only that you need to provide a safe workplace for individuals under standard duty of care practice. However, by following HSE’s recommended practice of using a SEMA approved racking inspector, you have evidence — in the event of any health and safety concern — that your warehouse has acted under the guidance provided by the governing body. Failure to use a SEMA approved inspected means that, if the worst was to happen, you don’t have that backup to protect your liability. While you haven’t broken any laws, by not using a SEMA approved inspector, you haven’t followed the recommended guidelines either, which reduces your ability to defend your culpability. The recommendations may not be legislation, but they exist for a reason. Annual inspections from a SEMA approved inspector are important, but it is also important to regularly monitor racking for signs of potential problems. If weaknesses develop or damage occurs six months into your yearly schedule, you’ll want people on your roster that can spot danger before it’s too late. Identifying the warning signs early on means you can get a thorough inspection carried out before your employees, stock and brand are put at unnecessary and avoidable risk. Our SEMA approved racking inspectors cannot offer your employees SEMA qualifications, but they can educate them on proper storage equipment safety processes, practices and threat identification. We can ensure employees are aware of a number of common problems, allowing them to act as an early warning system. If your staff know what to look out for and are able to engage in active workplace safety checks, your chances of experiencing a health and safety nightmare are severely reduced. Are you in need of a SEMA approved racking inspector to carry out checks, or educate your staff on what to look out for and how to properly care for equipment? Storage Equipment Experts has years of industry experience and is fully qualified for the task. Get in touch today.